As a formal matter, the litigation in People for the Ethical Treatment of Animals v. David Slater, the “monkey-selfie case” is now over. Although the parties nominally settled the lawsuit last year, the U.S. Ninth Circuit Court of Appeals put an exclamation point on it last month by issuing a formal ruling and opinion anyway upholding the district court’s ruling in favor of the human photographer Slater that was under appeal at the time of the settlement. We must determine whether a monkey may sue humans, corporations, and companies for damages and injunctive relief arising from claims of copyright infringement…Our court’s precedent requires us to conclude that the monkey’s claim has standing under Article III of the United States Constitution. Nonetheless, we conclude that this monkey — and all animals, since they are not human — lacks statutory standing under the Copyright Act. We but therefore affirm the judgment of the district court. Yet as some legal experts have pointed out, the Ninth Circuit didn’t really settle the question of who does own the copyright in the photos at issue if not the monkey. 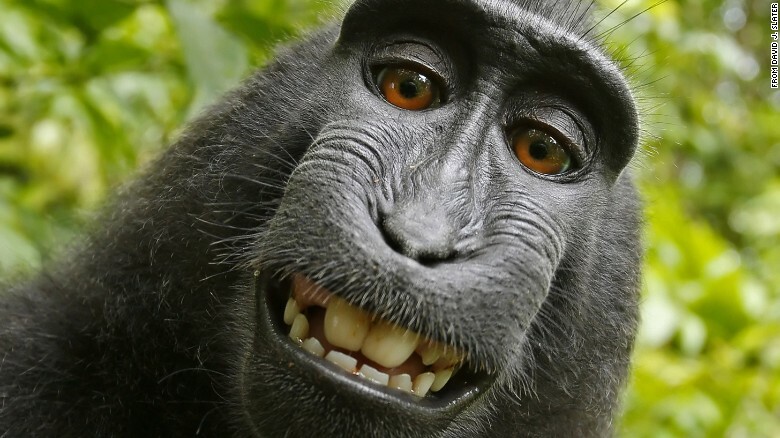 Under the settlement between the parties, Slater, whose camera Naruto borrowed for his self-portrait, is free to license their use on the stipulation that he donate a portion of the earnings to a fund to protect crested macaque habitat — a sort of professional tip of the hat to Naruto — neither the district court nor the Ninth Circuit explicitly determined the copyright to be his. Each ruled on the issue of standing, but neither reached ruling reached the merits of the infringement claim. Slater set up his equipment in the Indonesian forest where Naruto and his fellow macaques live and left it unattended to see how the monkeys might respond to it. But beyond that, he didn’t have any particular creative input to the photos they took. So on what basis would his copyright in them rest? Is mere ownership of the equipment sufficient? Was providing the opportunity for the monkeys to take the photos by leaving the camera unattended a necessary step? We don’t really know. Another question not directly addressed by the litigation is what made the monkey selfie so compelling in the first place? Had Naruto managed merely to take a random photo of his foot, or the sky, it’s doubtful anyone would have bothered litigating its authorship. What made the monkey selfie so compelling, I think, was its seemingly human-like intention. Serendipitously well-framed in the shot, Naruto seems to exhibit human-like self-awareness as he appears to smile into the camera, an effect Slater himself recognized in titling the book in which it first appear Wildlife Personalities. The whole case, in effect, functioned as a sort of photographic Turing test: Was the photo a creative act of original expression if perceived that way by humans, even if the law does not recognize its proximate creator? If so, how should the law regard it? Who, if anyone, should have an exclusive right to exploit it commercially, and on what would that claim rest? While the issue may appear abstract and theoretical, those questions are getting less theoretical by the day, as researchers develop ever more machine-based systems capable of producing Turing-sufficient works of expression. Like monkeys, machines would likely lack standing to bring a claim under copyright law. But that doesn’t mean they can’t produce works that humans perceive as expressive. In a paper published last month, researchers from Microsoft and Kyoto University describe how they trained a neural net to produce original poems, one of which was accepted for publication by the human editors of a literary journal based on a blind, online submission. Last year, researchers from Google published a paper describing how they taught a neural net to recognize the aesthetic elements of photography. 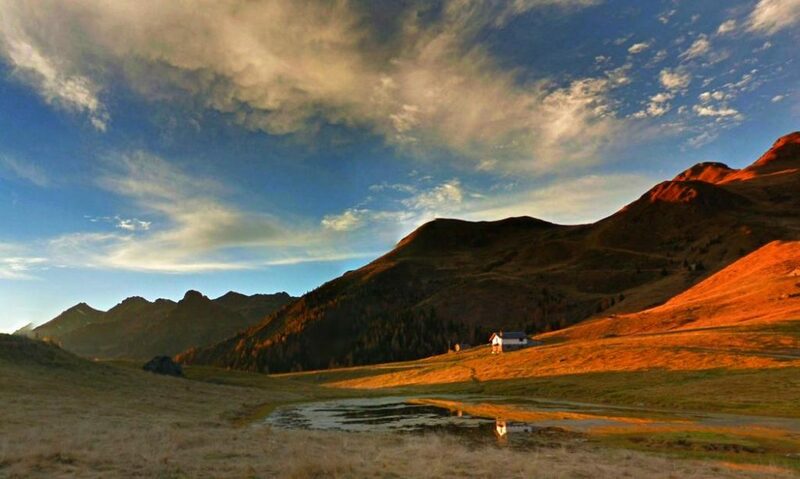 The artificial intelligence system then produced original works of landscape photography that professional photographers had trouble distinguishing from similar works produced by humans (take that, Naruto!). 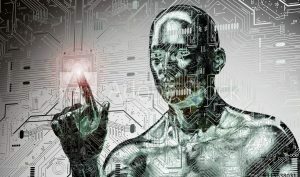 Computer scientists as Italy’s Politecnico di Milano, last month submitted a paper describing how they used a two-stage artificial intelligence system to create new levels of video game play on the fly that even other A.I. systems could not distinguish from human-created levels. Copyright law is designed to incentive creativity by giving legal force to the author’s claim on its economic value. Our systems of commercial licensing of creative works rest on exploiting the exclusive rights of authors spelled out in the Copyright Act. But as the monkey selfie case has shown, works can have considerable economic value even where there is no obvious or legally recognized author. How that value is to be realized through our existing author-based licensing systems, and how disputes over that value are to be adjudicated within our author-centric copyright law are questions we’re only beginning to grapple with. We’ll be grappling with some of them at the 2018 RightsTech Summit in New York. Anyone interested in addressing them can contact me at paul@concurrentmedia.com. 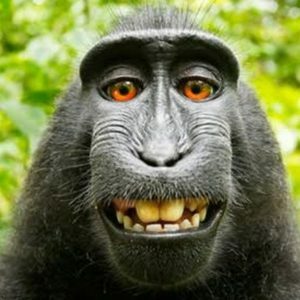 With the long-running litigation between People for the Ethical Treatment of Animals (PETA) and photographer David Slater over the now world famous “monkey selfie” still pending before the U.S. Ninth Circuit Court of Appeals, the two sides have agreed to settle the case and have asked the court to dismiss the appeal, according to a joint statement put out by the parties. But the settlement of the lawsuit isn’t likely to end the debate over how courts and the law should regard works created by non-human authors. In fact, the debate may only be getting started. For one thing, as The Hollywood Reporter’s legal columnist Eriq Gardner notes, the “settlement” between PETA and Slater doesn’t fully settle the case between them. In their joint motion to the court to dismiss the appeal, the parties also ask that the original lower-court ruling that monkeys do not have standing to enforce claims under the Copyright Act. If granted, that would presumably leave the door open for PETA or someone else to bring a future claim with a different set of facts. “PETA contends it would be just and proper to not bind Plaintiff Naruto [the monkey] by the judgment of the district court in light of the dispute concerning PETA’s status to file the complaint which resulted in that judgment,” the complaint says. Does that mean he has agreed to some sort of shared, or split ownership of the copyright between himself and some other entity on behalf of Naruto? Does PETA, or someone else, have the right to an accounting of Slater’s earnings from the photographs? Who will have standing to bring claims against future unlicensed uses? The statement doesn’t say. Since the case was settled, whatever provisions the parties may have made with respect to those questions will remain private, and do not establish any sort of legal precedent. Yet, while monkeys may not be rushing to set up Instagram accounts to show off their selfies, works created through machine-learning processes and artificial intelligence are becoming more common. And the question of how (or whether) to fit works created by non-human agents into existing licensing structures is only likely to grow more urgent. A.I. researchers researchers at Google, for instance, have taught an artificial neural network called Creatism to take aesthetically sophisticated photographs that in A/B tests many professional photographers were unable to distinguish from human-made shots. Music composed by artificial-intelligence agents is increasingly finding its way into the soundtracks of advertisements, videogames, apps, and other contexts where suitable human-authored works are either not available or too costly. It may not be long before A.I.-composed pop tunes start turning up in Spotify playlists alongside the works of anonymous or pseudonymous artists already popping up there. Those questions will be the focus of two special presentations at this month’s RightsTech Summit in New York. In one, Edward Klaris, managing partner in the media and intellectual property law firm KlarisIP will offer a global perspective on artificial intelligence and copyright protections. A second, roundtable presentation, will focus on the specific case of machine-made music. It will feature Drew Silverstein, founder and CEO of Amper Music, an A.I. composer, performer and producer for creating music for soundtracks, and Arnaud Decker of Luxembourg-based Aiva Technologies, which has developed the first A.I. agent to be registered with a collective rights management organization. The RightsTech Summit will be held on September 27th at the Museum of Jewish Heritage in lower-Manhattan as part of the 2-day New York Media Festival. Click here for a full list of speakers at this year’s summit. Click here for information on how to register for the RightsTech Summit and the full NY Media Festival.